Happy Friday to all, I am so looking forward to the weekend. I wanted to share with you a super easy "Out The Door" natural look & also the wonderful *New* 2014 Spring Products from Mary Kay! I love the lemon scented pedicure set, so fresh & sin-shiney. Retro glam seems to be at the forefront of fashion & cosmetics. 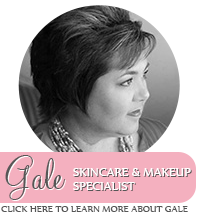 It really is so much fun & I would love to treat you to a personal make-over so you can find your own "Glam" look. Let me know if you have any questions or would like to be on my mailing list for the Look Book.